Commentators like to blame collectivism and poor values for seniors’ supposed bad behavior, but the real culprit is a reform movement that left them in the cold. Teng Wei is the director of the Center for Contemporary Cultural Studies at South China Normal University. This is the third and final article in a series on Chinese ‘damas.’ The rest of the series can be found here. 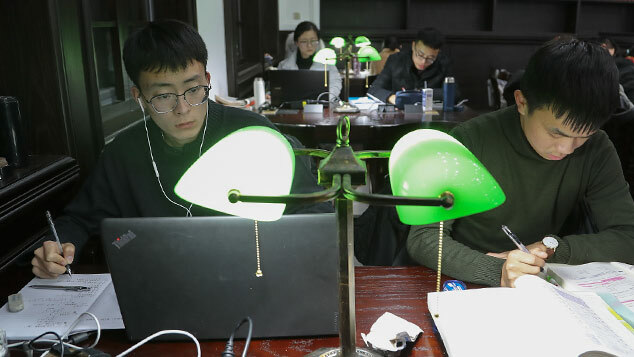 The generation that once performed “loyalty dances” in honor of Chairman Mao may have grown old, the thinking goes, but they’re still dancing — and still tearing holes in the country’s social fabric. 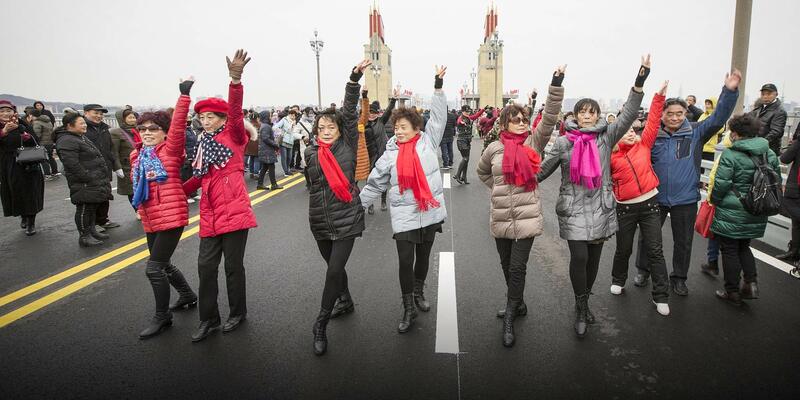 But as with so much of the mythology built up around dama over the past decade, this view bears little resemblance to reality: China’s square dancing grannies aren’t a legacy of Maoism, socialism, or collectivism, but rather a product of the country’s reform period. Those that view dama as latter-day Red Guards typically chalk their behavior up to a lack of solid values. One commentator even claims the country’s square dancers belong to a generation that has been “destroyed” by collectivism. Traditional and new media outlets alike have also shown a particular relish for reporting on incidents that confirm stereotypes of dama as overbearing, obnoxious seniors who monopolize public spaces, instigate conflict, and disrupt the peace. In one case, it was even strongly implied that their behavior was so infuriating, it caused a father of two to drop dead from a heart attack while trying to reason with them. China’s square dancing grannies aren’t a legacy of Maoism, socialism, or collectivism, but rather a product of the country’s reform period. In truth, however, dama are a product of the last 40 years — known in China as the “reform and opening-up” period. Prior to the country’s market reforms, China guaranteed every citizen a job, housing, and health care, at least in theory. Over the past 40 years, however, much of that already imperfect welfare system was dismantled. Many elderly Chinese — dama included — live in fear of getting sick, in part due to crushing hospital bills. Given that medical care has become an unaffordable luxury for so many, it should come as no surprise that Chinese seniors would take an interest in wellness activities such as square dancing. Research shows that square dancing is among the most affordable and effective fitness options out there, especially compared to the exorbitant rates charged by the fancy, high-end gyms currently in vogue among the country’s young urbanites. Young Chinese sneer at seniors for blasting loud music and flailing about to stay fit, even as they do the exact same thing in the comfort of air-conditioned rooms. And for all the attempts commentators have made to depict square dancing as a relic of the Cultural Revolution or a 21st century version of loyalty dances, few of the routines popular among square dancers today have any connection to the Mao era. In fact, many of them are set to the same kind of pulsing, beat-heavy music preferred by the country’s young hip-hop dance enthusiasts. The emergence of dama has also been stimulated by China’s changing demographics and family structures. 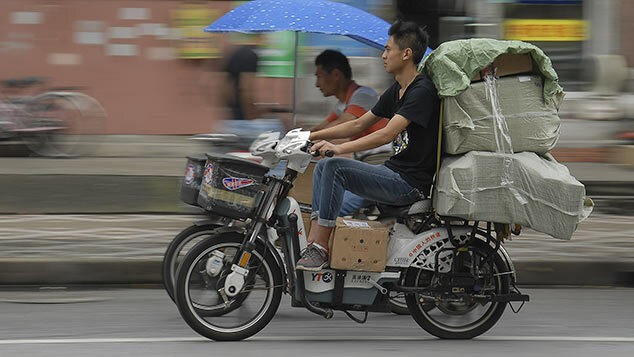 China’s cities are aging rapidly, the result of ongoing demographic trends, but also urbanization and a demand for free child care on the part of the country’s young, overworked urban professionals. This has led to a surge in the number of retiree grandparents in urban neighborhoods, many of whom hail from rural or working class backgrounds. It’s only natural that these seniors would look to connect with one another. A 2016 study on square dancing groups in the southern city of Guangzhou shows that 97 percent of dancers had some sort of social interaction over the course of the event. In many cases, getting out of the house and socializing is just as much a draw for middle-aged and elderly square dancers as staying in shape. Interviews from the above-mentioned study also show that older women in their 50s and 60s often made strong connections with their fellow square dancers and rated the importance of these relationships highly, just after those with family and close friends. A number of interviewees even reported that their nightly dance sessions were the happiest they felt all day. Research shows that square dancing is among the most affordable and effective fitness options out there. Even the conflicts over space between dama and the younger generation are rooted in reform-era policy changes. After the People’s Republic of China was established in 1949, the country set aside huge swathes of urban space for the working class. So-called worker’s palaces were constructed, providing ordinary Chinese with places for recreation and relaxation. As the pace of marketization picked up in the ’90s, however, many of these spaces were sold off to real estate developers, even as migrants flocked to the cities from the relatively impoverished countryside. And more often than not, in battles over access to the country’s shrinking public spaces, the state sides against dama. 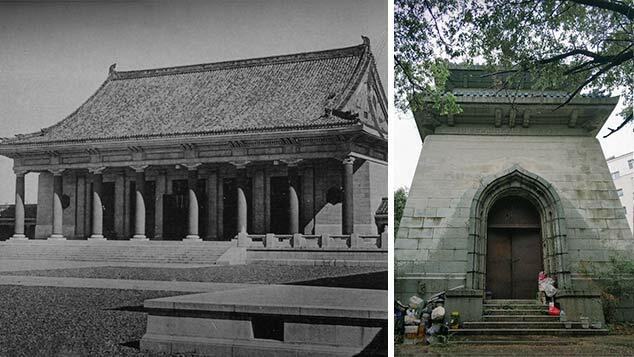 Take the conflict over Beimen Square at Guangzhou’s Sun Yat-sen University, for instance. Financed, built, and managed by public bodies, Beimen used to be one of the most popular square dancing spots in the city. That is, until students and university staff complained that the presence of such a commotion right outside the university’s main entrance reflected poorly on the school. In 2015, under the guise of celebrating China’s National Day holiday, city street management officials placed flowerpots all over the square, effectively transforming it into a massive garden — and coincidentally displacing the several hundred dancers who used to gather there each day. Unlike the Red Guards of old, the dama in this case meekly accepted their marginalization. It might have been a public square, but they knew they were beaten. In modern, market socialist China , such spaces belong to the state, but not necessarily the people. The funny thing is, the way young people talk about dama often mirrors the way non-Chinese discuss China. Both are depicted as uncouth, uncivilized, nouveau riche upstarts who — under the influence of outmoded and ill-conceived ideas — refuse to accept their place in the social or global order. It’s easier to “other” them than try and understand where they’re coming from. Ironically, both dama and modern China are far from being the Red revanchists they’re sometimes portrayed as. If anything, they represent the dying breath of collectivism and the ongoing creep of capitalism into every corner of our families, social lives, and living environments. Translator: Katherine Tse; editors: Wu Haiyun and Kilian O’Donnell.